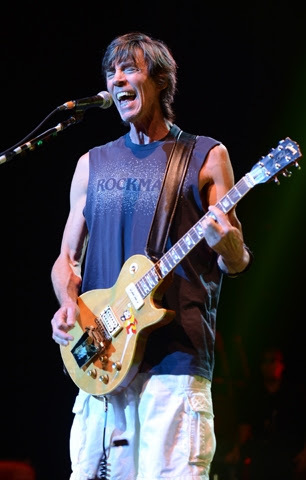 Boston guitarist Tom Scholz has been ordered to pay $132,000 to the Boston Herald for court fees incurred after Scholz unsuccessfully sued the newspaper, The Associated Press reports. The original lawsuit centered on Scholz's claim that the paper suggested that he was responsible for the 2007 suicide of Boston lead singer Brad Delp. A Superior Court judge ruled that the Herald could not be held liable for defaming Scholz because it's impossible to know what caused Delp to kill himself, and ordered Scholz to pay for costs that included transcribing depositions, filing fees and stenography services. Scholz's attorneys have argued that the rocker shouldn't have to pay the fees, but the judge has said that court rules require it and such costs could effect "free expression of ideas and opinions by media defendants." The guitarist founded Boston in the Seventies, and the band released three albums with Delp on lead vocals: the massive-selling debut Boston in 1976, followed by Don't Look Back in 1978 and Third Stage in 1986. Delp also contributed vocals to the group's 2002 albumCorporate America.